The Antennae Galaxies (NGC 4038 and 4039) are a pair of galaxies located in the constellation Corvus. They are currently going through a phase of starburst (an exceptionally high rate of star formation). 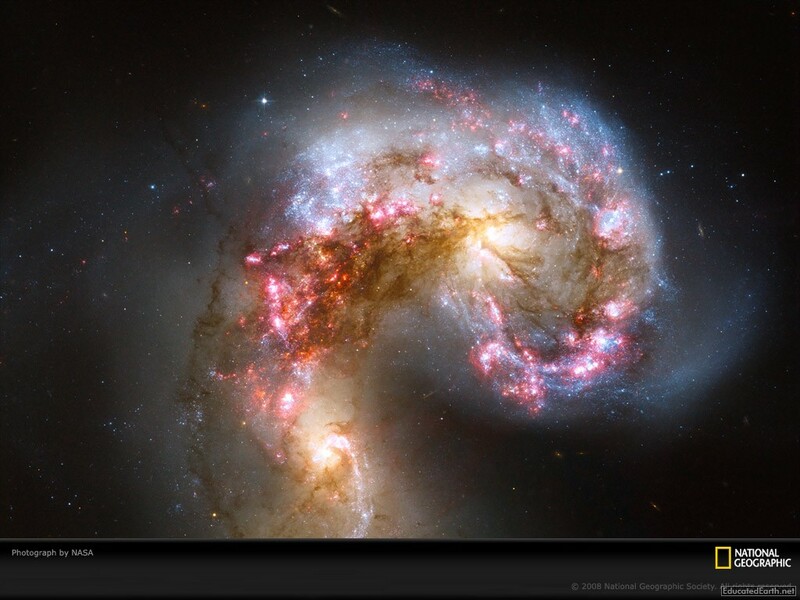 The two Antennae galaxies are colliding, and are known for their long tails of stars, dust and gasses. Image copyright National Geographic.